Balance out your picky eater s diet with a glass of good health!! Most babies are willing to try a variety of foods as soon as they start solids. However, as they cross 8 months and enter the next stage of weaning, they can start to get pickier about what they eat. This can result in a deficiency of essential nutrients during this critical growth phase. However, you can fix this in a pinch! 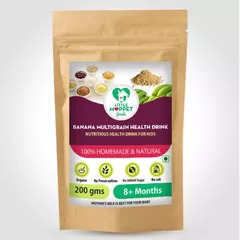 With Little Moppet Food s Banana Multigrain Health Drink, you re all set to tackle your little one s fussiness. With the ultimate combination of 6 different millets and assorted seeds and nuts, you have a dish that s just brimming with good health! And when you combine these super powers with the high fiber and healthy calories of Kerala bananas, you know you have a winner on your hands! The best part of our Banana Multigrain Health Drink is that you can feed it as porridge to babies and young toddlers, or as a drink for older kids. A glass of this nutritious beverage in the morning, and you don t have to worry about all the tricks they pull out at meal times the rest of the day! Add 2 tbsp of Banana Multigrain Health Drink powder to 1 cup of piping hot water and cook for 2 minutes. For children over 1 year, you can add 2 tbsp of the powder to 1 cup of piping hot milk. 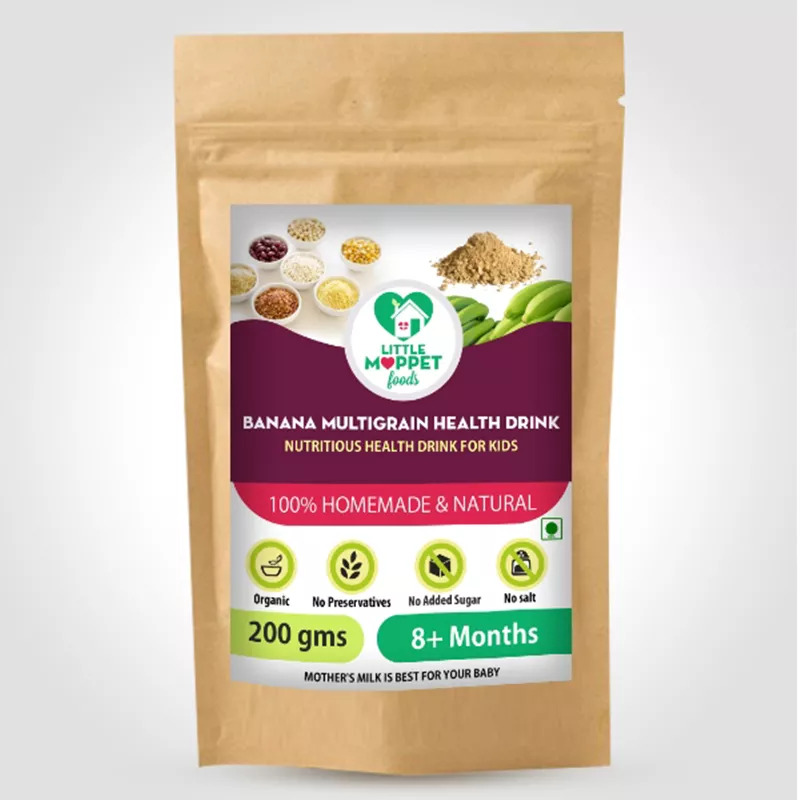 Mix well and serve as porridge for babies or as a drink for older children.